Elephant cake. 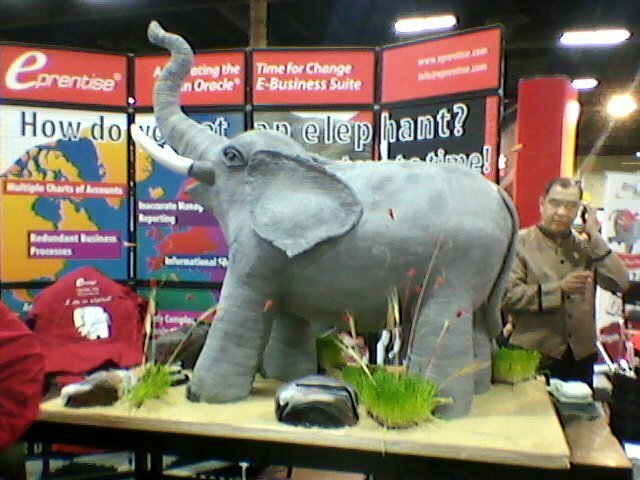 Yep, a cake made in the shape of an elephant. I didn’t try any, but I heard it was pretty good. 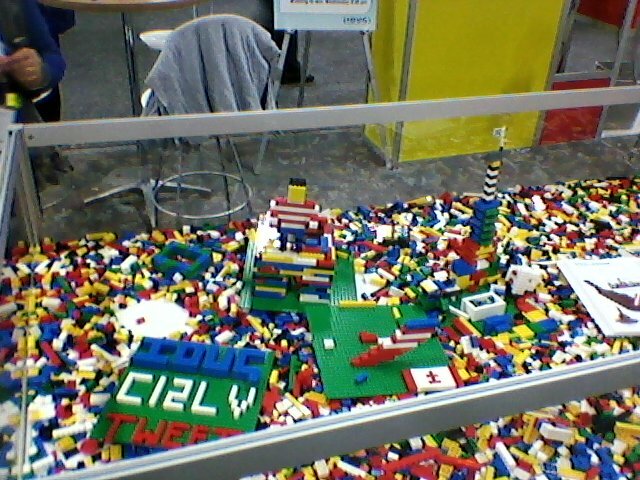 A big bin of Legos. Nice. Too bad my 3-year-old son isn’t a conference attendee. I played with this for about five minutes. People building things with the Legos got a free T-shirt from the Independent Oracle Users Group (IOUG). Or you could get an apron too, if you wanted. 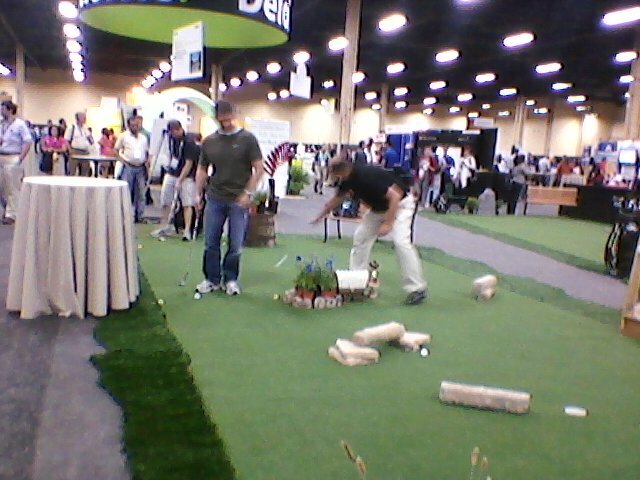 Some mini-golf. Most of these people were better putters than Tiger Woods has been lately. 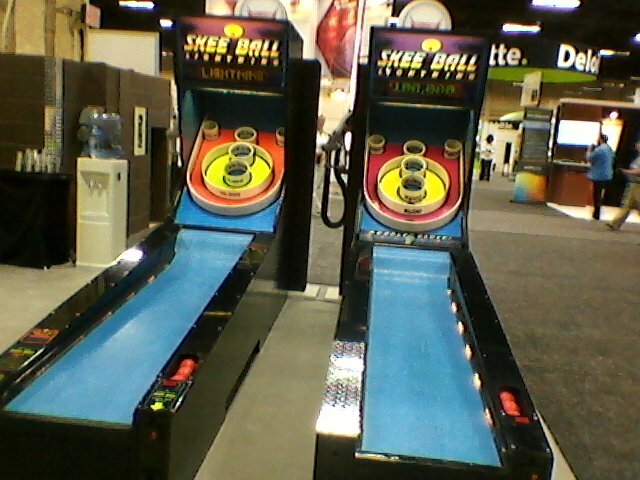 A little skee ball never hurt anyone. Too bad they didn’t have the little ticket dispenser at the bottom though. Want a tattoo? This guy was doing temporary tattoos that last five days. They have like 100 different designs. 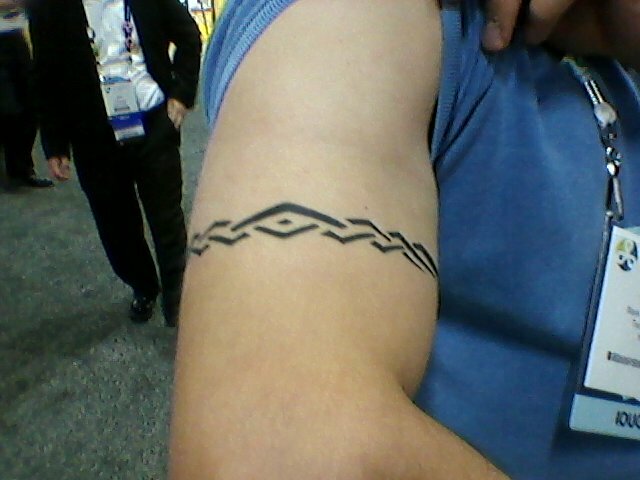 And yep, I got a tattoo. Can’t wait until I show my wife. Let’s just say I’m not going to tell her it’s temporary right away. Looking forward the expression on her face.